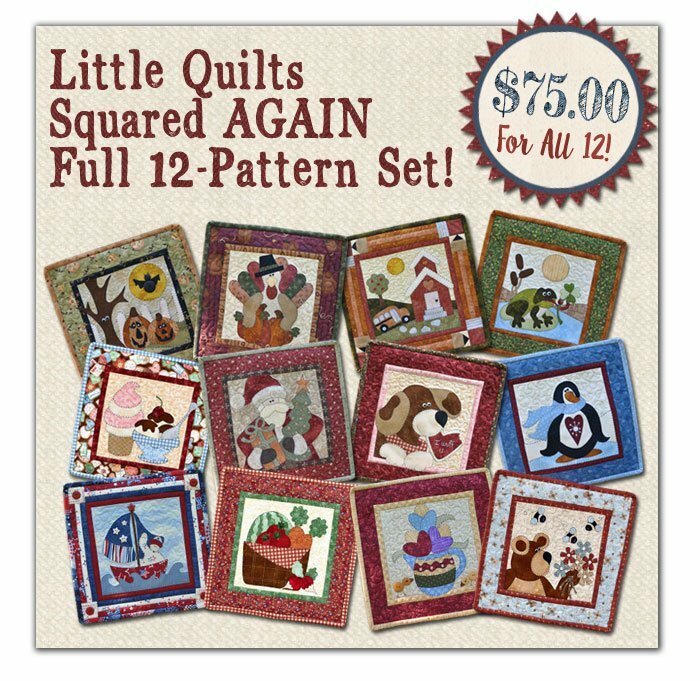 This pack contains all 12 of the Little Quilts Squared AGAIN patterns. (This is the second set of Little Quilts. 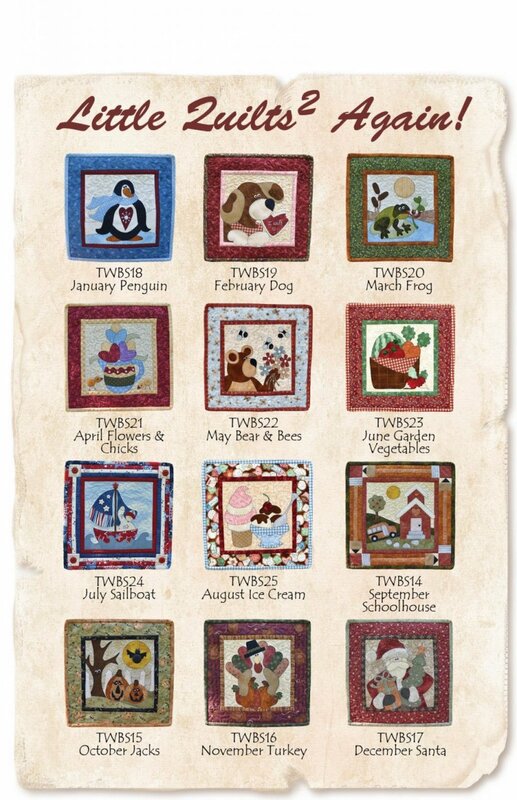 Click here to see the first set of Little Quilts Squared.) All 12 patterns are shown below. Finished size of quilts is approximately 12" square.